Quentry, the cloud service for healthcare professionals from Brainlab, is driving a change in medical image exchange — providing faster access, better management and elevated data enrichment tools to over 6,000 users around the world. Quentry Mobile is also available for iOS in the App Store. 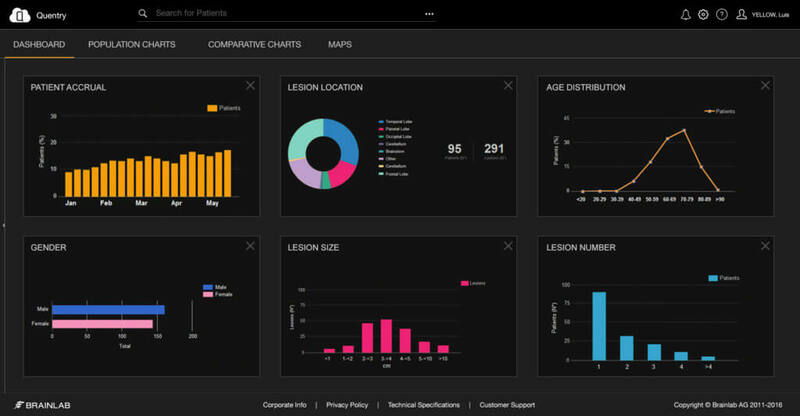 Quentry organizes all your patient data in a structured, patient-centric view, with the benefit of eliminating CD handling. User-friendly tools offer convenient capture and management of data, including setting user-specific access to data and anonymization of patient records. 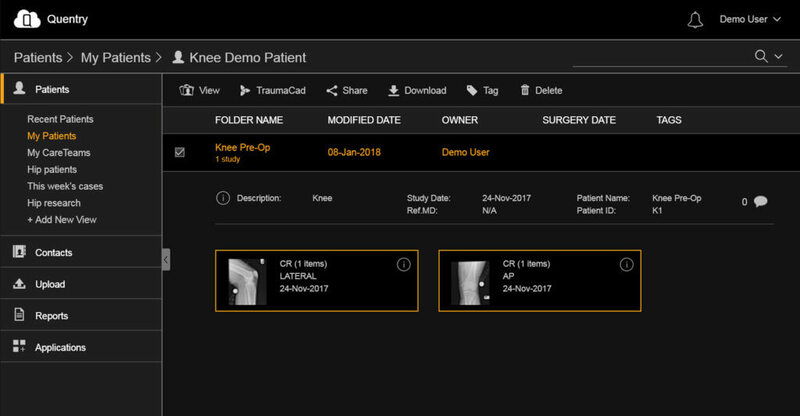 In the operating room, patient images, plans and forms from Quentry can be accessed from Brainlab surgical navigation platforms Curve and Kick, as well as Buzz Digital O.R., enabling centralized access to patient data. A comprehensive tool collects image and template patient data in order to help clinicians analyze the effectiveness of various treatments for different diseases. With the collection of Big Data and the application of smart AI tools, our vision is to support clinical decision-making and further improve healthcare outcomes. Collect all relevant data for your patient treatment, including images, documents and various forms tailored to your requirements. View 2D and 3D images from multiple modalities including MPR reconstructions, 3D volume rendering and measurement tools. Connect with your colleagues to build a medical referral network and share plans and feedback online with advanced commenting tools. 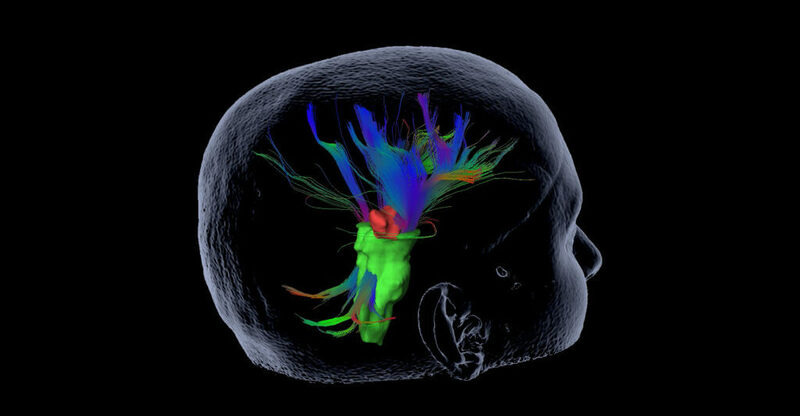 Integrate powerful treatment and planning tools from Brainlab to get the most out of patient images and obtain comprehensive information. Securely access patient data from your iPhone® or iPad®. View MRs, CTs, X-Rays, and documents, and share them to collaborate with colleagues. As a trusted provider of cloud computing in healthcare, the privacy and security of your patients ’ information is our first priority. Select a security area below to get more details. Quentry subscription is free of charge for any medical professional and can be set up immediately and in less than 5 minutes. Quentry seamlessly integrates with your PACS or any other imaging modality and securely routes medical images directly to your account. Visit our FAQ page for any questions you might have about Quentry or secure medical image sharing. Whether you’re looking for further information or just want to let us know how we did: Contact us right here.